Those Killed in the First Explosion. Two of the injured died in Nottingham General Hospital, two in Mansfield Hospital and two in the Chesterfield Royal Hospital and by arrangement of the three Coroners who were concerned the inquest on all the nine that were killed was held at Mansfield Police Court on the 25th and 26th September by Lt.-Col. H. Bradwell, the Coroner for that part of Nottinghamshire. The owners and management were represented by Mr. F.H. Jessop, the Nottingham Miners’ Association by Messrs. V. Coleman and W. Bayliss, The Nottingham Miners’ Industrial Union by Messrs, G.A. Spencer and H.W. 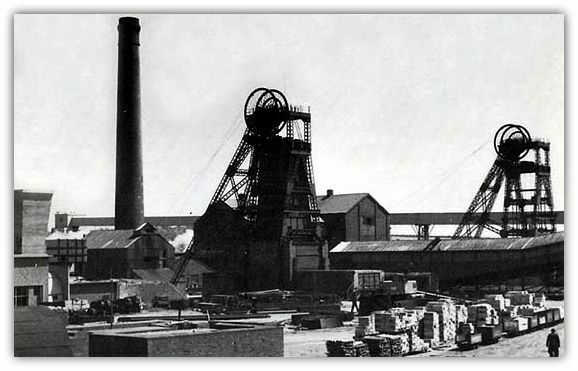 Cooper and the National Association of Colliery Deputies by Messrs. R. Price and T. Buddle, H.M. Senior Inspector of Mines, Mr. A.H. Steel, were present. “That death was due to toxaemia and shock following burns. The jury added a rider that chemical fire extinguishers should be available in the future as a precaution against similar occurrences. The official report on the explosions at the colliery was made by J.R. Felton, H.M.
Divisional Inspector of Mines to Ernest Brown, Esq., M.C., M.P., Secretary for Mines on the 23rd November 1934. The causes of the accident were self evident but the disaster lead to some recommendations by Mr. Felton on means of dealing with underground fires. He recommended that water under pressure should be available at the pit bottom and at each inset from which coal was raised and that hydrants and connections should be provided. Where conditions permitted, the water pipes should be carried along the main haulage roads. A supply of sand a stone dust should be kept at the junctions and at convenient points in each district and chemical fire extinguishers of at least two gallon capacity should be kept and clearly labelled where they were and how to use them.